I built this PC to be used for gaming, and it has done pretty well so far, though I'm using a 720p TV until I can get a good monitor. The cable management also was really crappy since this is my first build, but at least nobody coming over will notice because of the lack of a side panel window. The fans are fairly quiet at usually under 40 decibels, which is inaudible in-game with headphones on. Haven't overclocked anything yet, and probably won't as long as it gets good framerates, which it's been doing so far. I probably will upgrade storage soon since I only got 120GB, but I knew this would happen and just wanted to put my OS onto an M.2 SSD. 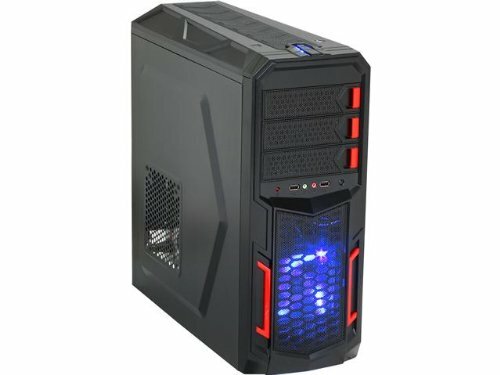 UPDATE(12/18/17): I have noticed that my system performs much better without the side panel, possibly due to crappy case fans. With the side panel on it gets ~92 FPS in cinebench r15 OpenGL test, and ~110 fps without the side panel. The CPU gets a score of around ~743 with the side panel, and ~799 without. As for game FPS, I have yet to test that out. Pretty great CPU so far, especially for $155(or at least it was when I got it). At the normal price you might want to go for a 1600 depending on what you're doing with it, but the 1500X is just fine, especially when it's on sale. Haven't had any problems yet and won't overclock unless I need to. I've heard that the stock cooler is good for overclocking but I haven't tried it myself yet. Thermal paste is pre-applied on the cooler. I got this so I could have fast storage to put my OS on and I haven't been disappointed. King of small storage-wise but I knew that when I ordered it so I can't take off any stars for that. I have plans to get a mechanical hard drive to with it soon so I can download all of my steam library on my PC. I haven't timed how fast Windows boots yet, but its pretty fast. Haven't had any problems yet, though I'm using a 720p TV until I can get a good monitor. Wish I could've paid less than $250 but I knew I would have to pay a higher price because of the ethereum craze. Probably won't overclock anytime soon, but if I have to in order to get good performance I will. Good amount of drive bays, a few USB's and works fine, though Its only 3 stars because I've noticed my system performs better with the side panel off, so buying new case fans might be something I do in the future. 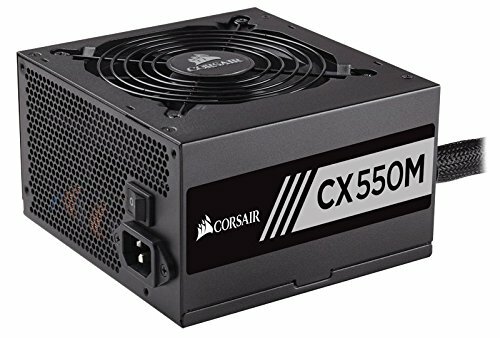 Good semi-modular power supply for the price. It doesn't explode, which is good. Has enough cables to suit my needs. Nice build! For the money you have a very good level of gaming performance here. I wouldn't worry about storage too much, Cyber Monday is right around the corner and you can probably find a 1TB HDD for $40ish. Noise definitely won't be a problem for your build, AMD's Wraith coolers really raised the bar for stock coolers in terms of performance and noise and are very quiet. Thanks! Great to see an experienced builder think I did a good job with the part list. I just wish ethereum mining hadn't made GPU prices go up so much. Yeah it was crazy this year. My wife bought me a GTX1070 in May for my birthday for $399 at best buy, and two weeks later they were over $650 if you could even find one! I think they're finally coming back down now, I've seen more than a few RX580s coming back down to the $200-220 range and 1070s hitting $450 or so. Definitely a hard time to build a PC, but at least prices are going down a little. I think 580's are down to around $235 now. Hopefully ethereum prices go down so graphics cards will be more available. Honestly, an overclock would benefit this PC greatly, I know it handles games and stuff really good right now, but if you OC it, you're really getting the bang for your buck, as the Ryzen "X" CPUs were basically designed for overclocking, not doing so would not really be using the full potential of the 1500X. Yeah, I probably will at some point, I just haven't gotten around to it yet. Thanks for the advice! What tweaks are you referring to about the memory not running at 3000Mhz? If you are talking about it running at 2400 initially, that's normal for all memory on AM4 boards. Native memory speed is 2400 (2133 and 2666 for Intel). On all those platforms, anything over "native" speed is considered overclocked and has to be set in BIOS manually or via XMP profile. Oh that makes since then. This is the only pc I've ever built so I'm not super smart. All good and welcome to the wonderful world of PC building. Beware it can become really addictive!!! I personally have 4 additional computers I've built to just sit on a table.....I know, I have a problem!! The time....well...like any other hobby you make time for it. I don't have nearly the amount of time I used to, but still manage to squeeze in the hours here and there. Family knows that sometimes I go into my office and close the door for a few hours of me time every now and then. As for the money. That's not always as easy. I wish I was a big tech reviewer and was able to get product sent to me to play with all day. Unfortunately I don't and have to find the budget to do it on my own. I set aside a set $ amount from every paycheck and when the account gets high enough, I'll buy a part or two to check out. Eventually I end up with enough parts to build a full system. I generally try and give away the system to a family member or sell the system (almost always for less than cost) to someone who needs one. Did the ram work out of the box on your mobo? 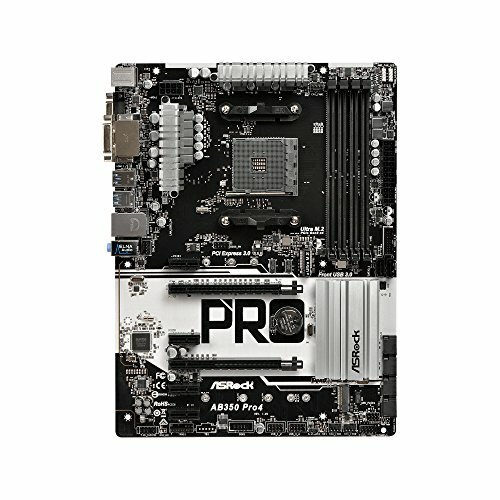 I have the 350m pro4 and the same memory. I didnt check the compatibility list on the asrock site until after and the ram isnt listed on either the 350 or 350m . Yes. The ram does work. Weird. Worked for mine. Which memory slots did you use? I'm guessing you meant A2 and B2, which is the right configuration. 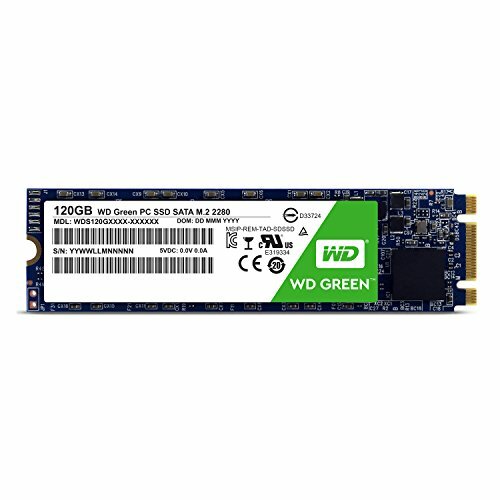 Maybe just a problem with the ram or mobo itself, but not super sure. You should probably ask someone more experienced with pc building. Sorry. is the ram yellow? or gold? Alright finally added it sorry I took so long.